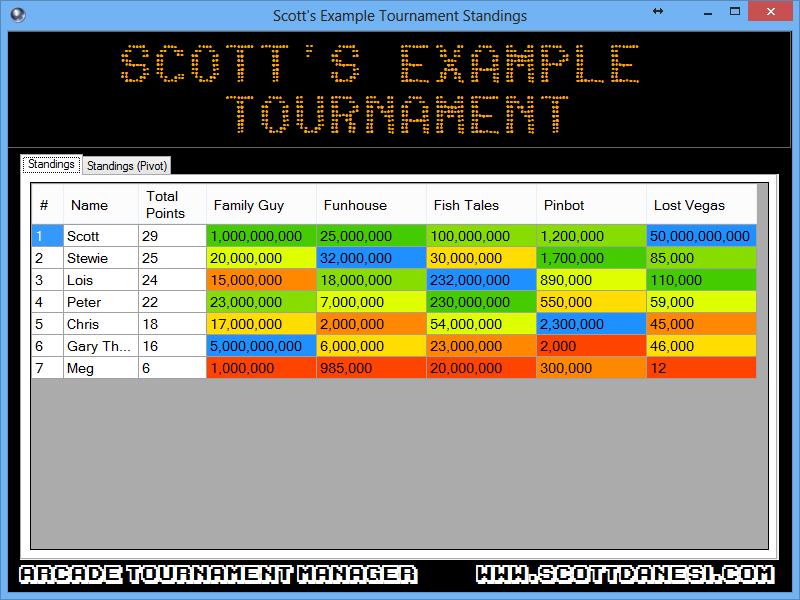 Arcade Tournament Manager v1.7.2 Released! The newest version is here! Version 1.7.2 is a minor update with some cool fixes and updates. I have created a heatmap on the standing breakout window that looks really good. 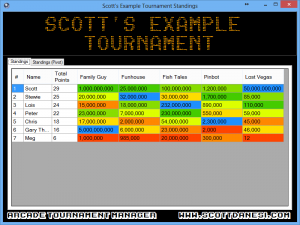 I have also added the ability to customize the size of the font on the breakout window as well. The formal online user guide is updated with the new settings. You can access it directly from the site or through the help menu in the Application itself.